August 2, 2017 (El Cajon) — The El Cajon Planning Commission will hold a public hearing on Tuesday, August 15 at 7 p.m. to consider termination of the former Broadway Market sit'es Deemed Approve Status and Revocation of a Conditional Use Permit for the off-sale of beer, wine and distilled spirits. June 17, 2017 (Lemon Grove) -- Alcohol and marijuana are about to be prohibited at Lemon Grove’s eight city parks, just in time for summer family fun, according to city officials. The city council voted unanimously in May to take local control and make parks off limits to the use of marijuana in any form and all alcohol. While California’s new law under Prop. 64 makes recreational marijuana use legal for adults over 21, it is not legal to do so in public places. The council thought it was important enough to include it in the law. October 20, 2013 (San Diego’s East County) – On October 17, a shoulder-tap operation was conducted by the Sheriff’s Department and other agencies to see if retail outlets are illegally selling alcohol to minors in Santee, Alpine, Lakeside, Spring Valley, Lemon Grove, and unincorporated El Cajon. Deputies from the San Diego County Sheriff's Department, Agents from Alcohol Beverage Control, and three minor decoys conducted a "Minor Decoy" and "Shoulder Tap" Operation at various locations in the East County. The operation involved minors who tested "on-sale" and "off-sale" establishments. The minor decoys tested retailers and servers at a number of locations in an attempt to purchase alcoholic beverages inside their establishments. Three employees sold alcohol to the decoys. March 25, 2013 (Lemon Grove) – Lemon Grove Academy joined local efforts to educate students and parents of the dangers of drugs and alcohol in East County by hosting its first Underage Drinking Forum on Thursday. The event, which took place on March 21, featured a complimentary pizza dinner, a presentation by a local drug and alcohol expert, as well as a separate break-out session for youth. Retired narcotics officer and Executive Director of The Proactive Network Against Substance Abuse, Phil Hubbs, educated a group of nearly 40 parents about current drug and alcohol trends. He also showed parents a display of various household items such as hand sanitizer, whipped cream canisters and keyboard cleaner that kids use to get drunk or high. March 18, 2013 (Lemon Grove) -- Lemon Grove Academy hosts its first Underage Drinking Forum for parents and students. Phil Hubbs, from the Proactive Network Against Substance Abuse (PRONASA), will be presenting information to parents about current drug and alcohol trends among youth. Additional speakers include: M.A.D.D., Friday Night Live, Lemon Grove Academy parents and students. 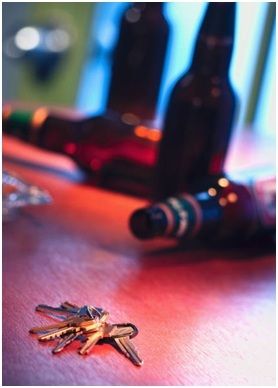 Students will participate in break-out sessions with Mothers Against Drunk Driving (M.A.D.D.) and Friday Night Live to learn about the dangers of drugs and underage drinking. Families are invited to arrive at 5:30 p.m. for a complimentary dinner before presentations begin. The event will be held at the Lemon Grove Academy, 7866 Lincoln Street, on Thursday, March 21 with dinner at 5:30 and presentations from 6:00-7:30 p.m.
January 17, 2013 (El Cajon) – Councilman Gary Kendrick will introduce a measure on Tuesday, January 22 that would implement a “deemed approved” system to regulate liquor licenses n El Cajon. “It enables a city to put a whole host of new conditions on existing liquor establishments,” Kendrick told ECM. “It even covers those grandfathered in that don’t have a conditional use permit, so we could stop a liquor store from creating a nuisance in the city.” The measure would cover all off-site liquor stores, type 20 and 21 licenses, he added. The proposal would also allow the city to charge a fee to liquor stores to funds sting operations against alcohol sellers as asll as pay for a full-time alcohol enforcement officer. June 1, 2012 (Ramona) – Fred Ulysses Hammett, 70, an attorney from Ramona, died Wednesday in a head-on collision that also claimed the life of a mother and her three young children. Hammett was in Texas to attend his sister’s memorial service. He was driving a rental SUV when he was struck head-on by a Ford pickup truck. The pickup was driving the wrong direction on I-20 in Mesquite, Texas and reportedly almost struck a Texas trooper’s car before hitting Hammett’s vehicle.